Sturdy cabriole legs, pad feet and graceful back splats. Excellent deep color in the dense island mahogany. 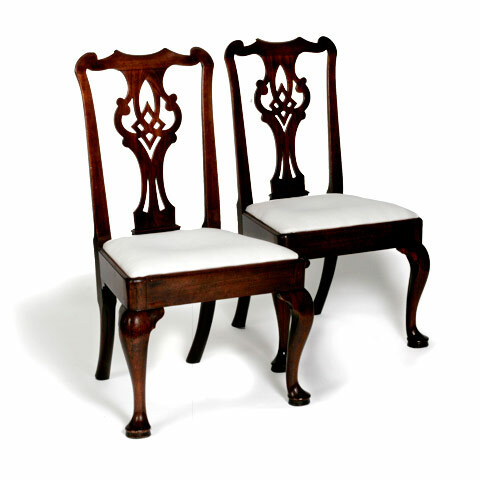 Sturdy 18th century chairs. 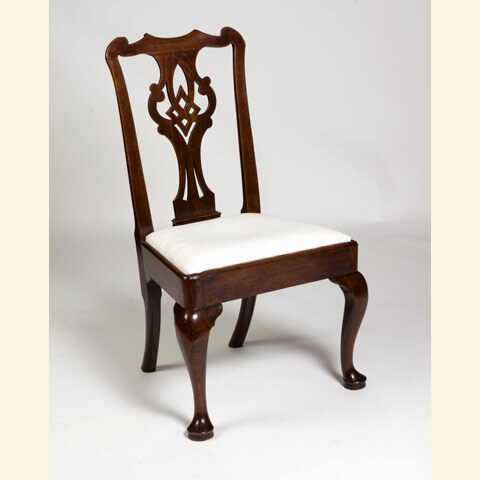 Queen Anne style, graceful and very original. Drop-in seat frames have not been restored.